Regular Members are Private Alarm Contractors or Agencies licensed by the State of Illinois (225 ILCS 447/) to design, install, monitor and service systems that protect life and property, including access control, burglar alarm, fire alarm, mass notification and video surveillance. Regular Members maintain proper licensure and agree to conduct their businesses in accordance with the Association's Bylaws, Code of Ethics and Anti-Trust Policy. 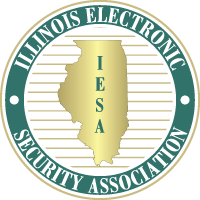 IESA Regular Member companies are listed below in alphabetical order with the city their office is located in, phone and fax numbers and web site. Use the advanced search feature below to find contractors by the types of systems serviced.